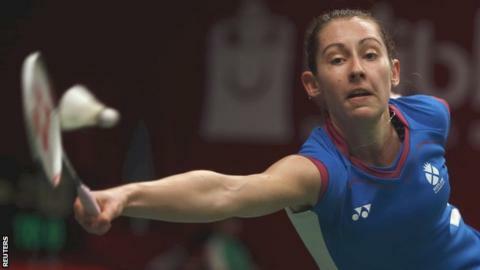 Kirsty Gilmour won the women's singles title in emphatic fashion at the Yonex Dutch Open in Almere on Sunday. The number five seed defeated German third seed Karin Schnaase 21-16 21-13 to make it two titles from three finals in the last four weeks. Gilmour, 21, recently finished runner-up at the Yonex Belgian International and won the FZ Forza Prague Open. The world number 26 can hope for a further ranking boost after this latest win as she pushes for an Olympic place. Victory over Schnaase will also provide a confidence boost for Gilmour as she returns to Superseries Premier action in the coming week at the Denmark Open in Odense. Gilmour will be among the leading contenders when she returns to the scene of her Commonwealth silver medal when she competes in the Scottish Open Grand Prix at Glasgow's Emirates Arena from 18-22 November.